What Would the Founding Fathers Think of Modern America’s Foreign Policy? The world today is far more complex than it was 200 years ago, but the speeches and writings of the Founding Fathers point to a common general principle. More than 200 years ago, the United States were founded by disgruntled colonial men wearing ruffled shirts and tri-corner hats. Their writings on government structure and democracy have endured, but what about their views on global affairs? Oil painting of 18th century Enlightenment philosopher and author Thomas Paine by Auguste Millière (1880); Common Sense, a pamphlet by Thomas Paine (1776). The Founding Fathers had subscribed to Paine’s view during the Revolutionary War, but eventually found that an alliance with France was necessary in the short term. Then, in 1793, George Washington effectively broke the alliance with his Proclamation of Neutrality. Speaking at the Cato Institute in 2016, William Ruger, Vice President for Research and Policy at the Charles Koch Foundation, delved into the views of Washington, Adams, and others, remarking: "States don't have permanent friends, they have permanent interests, and the Founders were hyper-realist when it came to that." 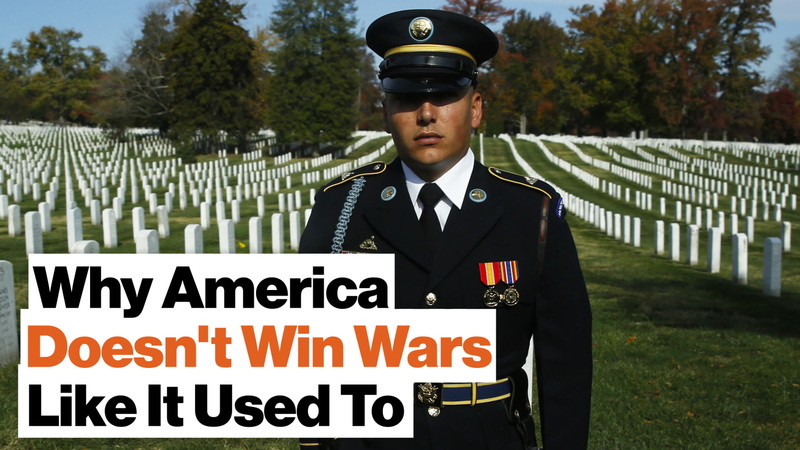 The U.S. has been the world’s most powerful nation since the end of the Cold War. Some refer to this position as “American primacy,” which political scientist Joseph Nye defined as its “disproportionate (and measurable) share of all three kinds of power resources: military, economic, and soft.” While this power has allowed the U.S. to create an advantageous world order, America's interventions abroad have come at massive human and economic cost. As the U.S. enters its third decade of primacy since the end of the Cold War, it’s worth returning to the thoughts of the Founding Fathers, and how they conceptualized America’s role in the global community. What would they have thought about invading, say, Iraq? In Adams' words, is it a monster the U.S. should have gotten mixed up with? 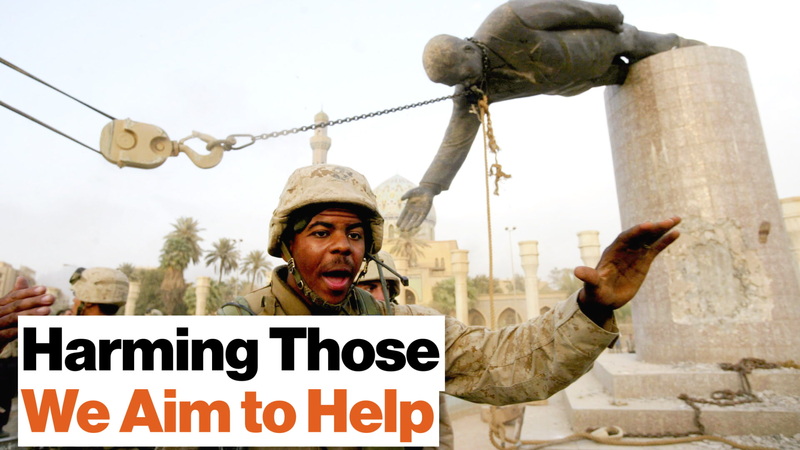 The cost of the war in Iraq. Source: Mother Jones. It goes without saying that the world today is far more complex than it was 200 years ago. Technology and industrialization have connected the world in entirely unpredictable ways, and the power of the U.S. has multiplied to an unimaginable extent. There’s also a case to be made that with America’s great power comes the responsibility to right the many wrongs in the world. “Over the last 15 to 25 years, our foreign policy simply isn’t working. It is not making us safer. And that’s why we need to reconsider what we’re doing. We need to rethink our grand strategy. We need to rethink how we’re using diplomacy and economic levers of statecraft. We need to rethink our budgets and the types of platforms we’re building and the types of missions we want to send our troops on. The United States needs to be engaged abroad in terms of trading with other countries, providing positive-sum outcomes between peoples, diplomacy, cultural engagement, people to people engagement. We can be engaged in the world and open to the world without thinking that the United States needs to be everywhere and without the United States having to lead and be militarily deployed to every part of the globe. We can never know exactly what the Founding Fathers would think about modern U.S. foreign policy. However, we can tell from their speeches and writings that they all seemed to agree on a general principle: be extremely wary of becoming overly entangled with the never-ending problems of the outside world.